We wrap things up today with our EXCLUSIVE piece on Russ Terrana. Thanks again to Joe Klein for providing our readers with this interesting piece of musical history. Russ was in the eye of the hurricane during Motown's most creative and inventive period ... and today we delve a little bit deeper into this era. 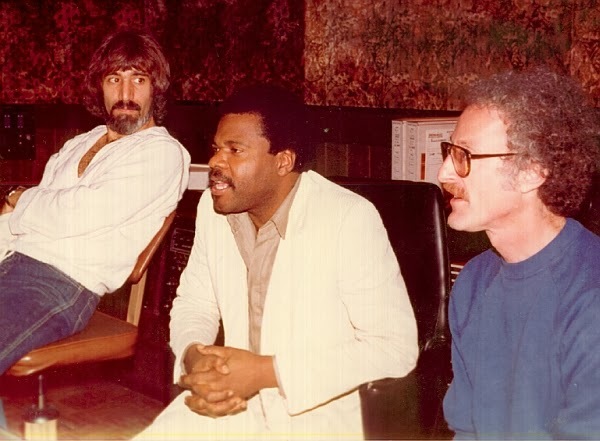 In Part Two of the story of Russ Terrana's earliest days as an enigmatic engineer, some of the more interesting events and recording sessions that occurred in the months prior to the purchase of GOLDEN WORLD STUDIO by Berry Gordy were told. Now, here's the third and final installment in the story of the earliest days in the brilliant career of RUSS TERRANA, the MOTOWN SOUND MAN! The very first official recording session for Motown Records at Golden World Studio, which they had just acquired, had just gotten underway. Berry Gordy walked into the control room a minute or two after the music started. He began listening to what was being recorded, and was not happy. In fact, he was downright irritated with the recording engineer at the control board who had just started working for him, Russ Terrana. But, the burning question of the moment was ... Why? At this particular point in time (the fall of 1966), Motown's infamous "Studio A" on West Grand Boulevard had recently installed a new, custom-built recording machine which was capable of recording eight individual tracks, instead of the usual four that machines at other studio's, including those at Golden World, were limited to. On the eight-track Hitsville machine, the basic rhythm tracks for a record were recorded on the first four tracks (with the drums recorded on one track, the bass on the second track, guitars on the third and keyboards on the fourth). Vocals and other additional sweetening instruments were then recorded on to the remaining four tracks, usually at separate recording sessions a short time later. But Golden World was still equipped with conventional tape machines only capable of recording on four tracks, resulting in a serious limitation. Rhythm sessions could be recorded there, but the master tapes would then need to be taken to Studio A and transferred to an eight-track tape before vocals and additional instruments could be added. The musician's union contract with Detroit's record labels required that when tracks were being recorded for a song that would be released with a vocalist, a paid union vocalist must be present at the recording session. Motown, and other labels, didn't want their stars to take time away from promotional duties or other commitments to attend tracking sessions ... so they would hire low-paid "stand-ins" to show up at the tracking session and sing a rough "scratch track" of each song being recorded. This scratch vocal would be recorded only on the first take of each song. The singer was often dismissed after the first take of the last song being recorded at the session to avoid overtime fees. To cover the record company in the event that a union representative showed up near the end of a tracking session after the singer had left, the stand-in singer would be recorded on one of the available additional tracks of the first take each song, so it could be played back to the union rep if he showed up. This was no problem at the Hitsville studio, since there was a recording machine with eight available tracks, and only four were used or the rhythm tracks. But, at Golden World, the tape machines only had four tracks available, and they were all needed for the basic rhythm tracks. So, at these tracking sessions, Russ (and other Golden World engineers) would combine the guitars with the keyboards and record them on to a single track instead of two, making a track available on which to record the "scratch vocal". This was only done on the first full take of each song being recorded, however. Then the session proceeded with the instrumental track assignments returned to the original configuration. "It was a hassle for sure, but we had to it because of that union rule," recalls Russ. It was Russ' first Motown session, and the first take of the first song was being recorded. Russ was recording the scratch vocal on its own individual track and had the level of the vocal raised in the control room's monitor speakers to make sure it was being recorded properly. As fate would have it, this is exactly when Berry Gordy entered into the control room. Russ vividly recalls the scene: "He heard the dummy vocal up pretty loud in the mix and looked at the meters on the tape machine. Berry immediately noticed that I was recording the scratch vocal on one of the tracks, and combining guitars and the keyboard on another track. He was not happy." Gordy knew about the union rule and why scratch vocals were recorded during the first take of each song at tracking dates but, apparently, it didn't occur to him at that moment that the tape machine at Golden World had only four tracks instead of eight. Russ continues ... "We had just started recording and my new boss gets mad at me as soon as he walks in because I'm wasting a track on a scratch vocal! But with the music blaring, I couldn't explain it to him until the take was over." The boss was mad, and everyone else was nervous, especially writers Ashford and Simpson, who were particularly hoping that things would go well. Russ remembers, "You could hear a pin drop in the control room after the music stopped and I pressed the stop button on the tape machine." Russ needed to chill things out fast, so he nervously explained the situation to Gordy, reminding him of the union rule and how the company dealt with it at rhythm track sessions. "It was like a scene from a movie. Everyone's eyes were glued on Berry, waiting to see his reaction." Gordy quickly digested what his new hire had just told him and realized that Russ was merely doing what was needed to cover the company and protect it from union problems. Then, his frown instantly turned upside down. Russ remembers, "Berry got a big smile on his face and told everyone in the control room, 'This boy's alright! He's looking out for the boss ... I like that!' There was a big sigh of relief from everyone and we all laughed along with the boss man!" Suddenly all was well, and one the most historic recording sessions in Motown history proceeded. "It was the very first time I had met Berry Gordy and things were really tense for those first few minutes. One of Berry's assistants told me later that she thought I was going to get fired on the spot! Fortunately, everything worked out and Berry was very happy by the end of the session." It's easy to understand why Gordy was so pleased by the end of that memorable tracking date. Russ can't swear to it, but, to the best of his recollection, rhythm tracks to four of Marvin and Tammi's greatest duets, all of which were written by Nick Ashford and Valerie Simpson, were recorded that day. The songs were AIN'T NO MOUNTAIN HIGH ENOUGH, AIN'T NOTHING LIKE THE REAL THING, YOU'RE ALL I NEED TO GET BY and YOUR PRECIOUS LOVE. What a happy ending, indeed. Instead of getting the boot from the boss, an incredibly rich and successful 22 year-long business relationship between Russ and Berry Gordy was born, and Ashford and Simpson would go on to have a "pretty decent run" in the music business for many years as well! Whether the rhythm tracks for all four smash hits were actually recorded at the session and, if so, these were the tracks that were used in the actual hit records may forever remain in question. During those wild days, things were happening so fast and furiously that few who played and sang on or were directly involved in the producing or recording of the hundreds of hits emerging from Detroit can remember with absolute certainty the full list of or details about every session or production to their credit. Motown, in particular, became notorious for having their artists cover many of their other artists hit songs ... over and over ... for subsequent releases. Producers, engineers and musicians would bounce between projects and studios like bumper cars in an amusement park. The sheer volume of material being recorded, then scrapped, then re-recorded was mind-boggling! It's pretty easy to understand, then, how difficult it is for those asked today to remember with clarity details about events they were barely able to keep track of as they were happening fifty years ago! What is clear, however, is this: Ashford and Simpson were at the session. Berry Gordy himself was there as well, and very happy at the session's end. Finally, it's an established fact that four songs were usually recorded at each Motown tracking date. So, it's not much of a stretch to consider that it was the four Ashford / Simpson hit duet tracks that were recorded that day. Different articles, reference works, bios, stories and blog posts list different recording dates for the duets. But this is understandable as well, because the records were usually recorded over several sessions and the company often shelved partially-completed masters, only to finish them for release months later, as market conditions dictated. It was very common for vocals and additional instruments to be added at different studios from the original tracking studio. Still, any way it's sliced or diced, that first Motown recording session at Golden World definitely merits a page ... or two ... in the history of Motown ... and pop music! As interesting as it is to read about, imagine what an awesome experience this session must have been for Russ! And it would only be the first of HUNDREDS of historic Motown recording and mixing sessions that he would helm in the decades to come, as "The Motown Sound Man"' molded the Motown Sound within the walls of "Studio A" and basement mixing room on West Grand Boulevard ... and "Studio B," formerly known as the great Golden World. 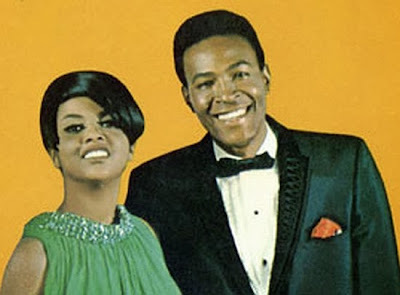 The Ashford & Simpson-penned duets of Marvin Gaye and Tammi Terrell went on to define a genre that Motown had incredible success with in 1967 and 1968. They were recorded at the very peak of Detroit's golden years. Sadly, Tammi Terrell succumbed to the complications of a brain tumor and passed away in 1970, just shy of her 25th birthday, and Marvin Gaye was shot and killed by his own father in 1984. With the acquisition of Golden World in 1966, Berry Gordy got ownership of the Golden World label, some of the artist's contracts and the recording studio, which was renamed as Motown's "Studio B." It was soon upgraded to a full 8-track facility compatible with Studio A on West Grand Boulevard. Wingate retained the ownership of the RIC-TIC imprint, and most of its artist roster, until selling those remaining assets to Motown in 1968. 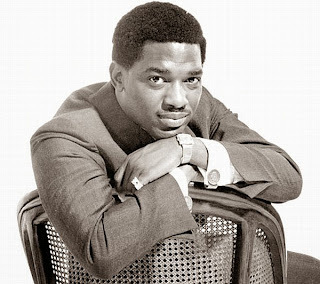 Edwin Starr became a Motown artist, however, in 1966, and went on to have two major hit singles at Motown, TWENTY FIVE MILES in 1969 and the chart-topping anti-war anthem WAR in 1970. Russ worked on both. THE SUNLINERS would morph into RARE EARTH, which Motown signed in 1969 and even created a new label imprint for, called RARE EARTH RECORDS. Russ either recorded or mixed all of the band's major hits in 1970 and 1971, and worked on all the other hits released on the Rare Earth label, including the FLAMING EMBERS' hit, WESTBOUND #9 and INDIANA WANTS ME, the top-ten hit by singer / songwriter R. DEAN TAYLOR, who had previously written the hits ALL I NEED for THE TEMPTATIONS and I'LL TURN TO STONE for THE FOUR TOPS, which Russ also worked on as well! Motown's much-heralded "duet era" marked the beginning of a long goodbye to Detroit from Motown. The city experienced deadly race riots that raged for an entire week in the summer of 1967. Motown's headquarters, including Studio A and Studio B, Don Davis' United Sound and Ralph Terrana's fabled TERA SHIRMA studio all survived the riots without any damage. Motown vowed to stay in the city, relocated its offices and built two new, state-of-the-art mixing suites in the fabled Donovan Building that Berry Gordy purchased in 1968. But Berry Gordy had been visiting and recording in the L.A. area for a few years by that time, and had dreams of moving his company to Hollywood. The dream started to be realized in 1969, when he moved his newly-signed stars-to-be, THE JACKSON 5, out to L.A. to finish recording their first album. Russ would work for Berry Gordy as his senior recording and mixing engineer for most of the next 22 years, except for a year-long period from June of 1967 until 1968, when he worked at his brother's studio, Tera Shirma. The deadly race riots, which spared the studio, occurred just a month after Russ started working for his brother. By the time Russ returned to Motown in 1968, Gordy and his producers had so much faith in his mixing abilities that they started to allow him to mix major label releases in the new Donovan Building mixing suites on his own, more often than not approving the first mixed versions he would submit! Of particular historic note, in the late summer of 1969, Gordy sent the multi-track master tapes of the first Jackson 5 album (which was completed in Los Angeles) to Detroit from L.A. for Russ to mix by himself. Russ, thereby, became the very first human being to hear his own completed mixes of all the earliest Jackson 5 hits on that historic first album! Not surprisingly, his brilliant first mixes were accepted and released by the label. Shortly thereafter, (and three years after recording and mixing the original duet by Marvin Gaye and Tammi Terrell), Russ mixed the classic Diana Ross cover version of the Ashford / Simpson masterpiece "Ain't No Mountain High Enough," destined to become one of Motown's most renowned signature hits! In 1970, Motown leased a small recording studio just off of Melrose Avenue in Hollywood and dubbed it MOWEST. A new Motown imprint, MOWEST RECORDS, was launched in 1971 and was home to an interesting mix of artists that included THELMA HOUSTON, SYRETTA, THE COMODORES, THE CRUSADERS, FRANKIE VALLI and the eclectic soul-fusion group ODYSSEY. The Mowest label even had a surprise top-ten spoken-word novelty hit by controversial Detroit radio deejay TOM CLAY in 1971. Russ started making regular trips to L.A. to work at Mowest sessions. He flew back and forth between Detroit and L.A. for the next couple of years to work hundreds of Mowest and other Motown sessions for a large percentage of Motown's major stars. By 1972, with new offices on Sunset Boulevard and the purchase of a near-new recording facility (called Poppy Studios) on Waring Avenue, Motown had fully relocated to L.A. The now-legendary Studio A was preserved, soon to become a museum dedicated to the history of the label. Studio B, formerly known as Golden World was, sadly, dismantled, as were the mixing suites in the Donovan Building. Russ moved west at the beginning of 1972, and continued on as the label's senior mixing engineer, recording and mixing scores of Motown's monster hits through the 70's and 80's. Rather than list any more of the hits Russ was involved with in the confines of this article, simply check any reliable Motown discography or other source of detailed Motown credits, and Russ' name will fill page after page of recording engineer titles. In the fall of 1988, the Motown story, for all intents and purposes, came to an end with the sale of the record label to MCA. Motown's Hollywood Hitsville Studio was sold a short time later and converted to a video post-production house by its new owners. his field and speak volumes about his role in molding the Motown sound. There's not a single second in the present day where tracks that Russ worked on are not being broadcast, streamed, downloaded or listened to somewhere in the world! Russ is now retired and lives with his wife Linda and their two dogs in Santa Cruz, California, where Russ performs volunteer dog-adoption work for the local ASPCA. His close friend and colleague of nearly FIFTY YEARS, Ed Wolfrum is still working as a digital audio consultant in the Detroit area. Text Above © Copyright 2013 by Joe Klein. All rights reserved. Used by permission. May not be copied in whole or part without permission. Here is Part 2 of Joe Klein's profile of Russ Terrana ... the Motown Sound Man! Running EXCLUSIVELY in Forgotten Hits! In part one of the story about Detroit-native RUSS TERRANA'S early days as a recording engineer, I talked about Russ’ love of electronics and his burning desire to get behind the recording console from the very first time he set foot in a recording studio. Russ tried to get a job as an engineer at Motown Records in March of 1966, but the label wouldn’t hire him because he was signed as an artist to Detroit's competing Golden World Records. So Russ headed straight on over to the studio where he had "interned" off and on (and recorded with his band THE SUNLINERS) and got hired on the spot by the studio's owner, ED WINGATE. His very first paid recording session was with Golden World artist EDWIN STARR and, in the months that followed, Russ’ natural gifts and awesome skill-set quickly made him Golden World’s “golden boy.” By the summer of '66, he was in high-demand as one of Detroit’s hottest sound engineers. As summer turned to fall, it wasn’t just the leaves that were about to change. The Detroit music scene was about to experience a step in its own evolution as well, and my old pal Russ would find himself right in the middle of it. Now, here’s Part Two of the story of the early days of the awesome career of RUSS TERRANA, the MOTOWN SOUND MAN. The good fortunes of Golden World did not go unnoticed by BERRY GORDY. Motown Records was just a couple of miles away, and it's no secret that Gordy was now keeping a watchful eye on the enterprise. Endless stories from those days abound ... intriguing tales about Gordy's assistants parked outside the facility in dark cars or secretly infiltrating recording sessions posing as friends of friends, in an ongoing surveillance operation that began as early as 1964. All the stories aside, Gordy's keen interest in Golden World and Wingate's growing stable of successful artists would become well-documented as the months passed in 1966. In the middle of March, just a couple of weeks before Russ was hired by Golden World, engineer ED WOLFRUM got a last-minute call from Joanne Bratton, who asked him if he could come in the next day and work a session booked for OLLIE McLAUGHLIN'S record label, KAREN RECORDS. Ed agreed to work the date and showed up the following day. The session was for Karen recording artist THE CAPITOLS, to record the single COOL JERK. 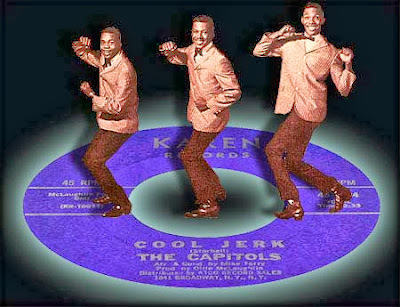 McLaughlin produced the session, and the Cool Jerk single would go on to be the group's biggest hit! Released a few weeks later, the single entered the charts at the end of April and peaked at #7 on the Billboard Hot 100 on July 2, 1966. "At the end of the session, guitarist DON DAVIS gets up and loudly announces 'Congratulations everyone! You've just completed your first session at Berry Gordy's new studio!' The surprise proclamation caught all of us off-guard to say the least!" Apparently the musician (who ultimately would become a highly-renowned Detroit producer) was privy to something that no one else in the room was at the time. Wolfrum explains that the announcement was so spontaneous and unexpected that reaction to it was muted, a cross between shock, disbelief, humor ... and indifference. "I really don't know why Don decided to make that announcement at the Cool Jerk session. No one there really knew what to make of it at the time, but it sure got our attention. It's one of those moments that I'll never forget." Wolfrum doesn't remember if he told Russ about the proclamation. Nor does Russ have any recollection of hearing about it either, despite the fact that it happened just weeks before he tried to get a job with Motown and ended up working at Golden World instead. In the weeks and months that followed, hushed rumors about Gordy's interest in buying Golden World began to percolate around Detroit. Interestingly, Russ was hired by Wingate instead of Motown, where he had first tried to get a job just weeks after the Cool Jerk session. If Uncle Ed and his mammoth competitor were already involved in takeover talks as has been suggested in historical accounts over the years ... or had already struck a deal ... it was being kept under wraps in the spring of '66. But it does, in retrospect, makes the surprise announcement by Don Davis at The Capitols' session in mid-March all that more intriguing. After Wingate hired Russ at the end of March '66, his first paid recording session was with Edwin Starr and, within weeks, he was the studio's "go-to guy." By the summer, Russ was Golden World’s "golden boy," and was working sessions with a list of artists, producers and musicians that read like a veritable “who’s who” of the Detroit music scene, including many of the artists who were part of the Golden World family as well as artists from other labels. It was an around-the-clock revolving door of hit-makers making hits that would ultimately help to place the studio in a prominent place of pop music history! The spring and summer were red-hot at Golden World as artists, producers and writers filtered in and out of the studio in an endless string of recording sessions being engineered by Russ, Wolfrum, and Bob d'Orleans. Some of the artists that Russ worked with in those last few months before Motown's acquisition of Golden World were THE REFLECTIONS, THE FANTASTIC FOUR and lead singer JAMES EPPS, THE DETROIT EMERALDS, J.J. BARNES, THE DEBONNAIRES, THE SAN REMO GOLDEN STRINGS, GORDON STAPLES, THE SHADES OF BLUE, THE DRAMATICS, GINO WASHINGTON (who sat in and sang with The Sunliners on a few occasions at Detroit night clubs Cliche and The Rooster Tale) and funk pioneer GEORGE CLINTON with THE PARLIAMENTS. Clinton worked at Golden World often during the "pre-Parliament / Funkadelic" days and Russ particularly remembers George Clinton's bizarre antics, and outfits, very well. But before Clinton and his group started to "funk themselves up," they had a much different image. 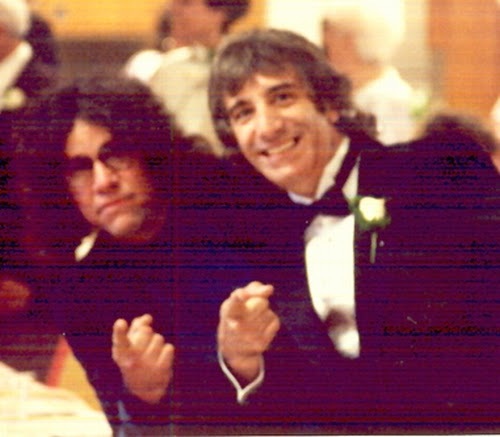 Russ says, "The first few times I ran into George and the band in the studio, which was before I was working for Golden World, they looked like a group of insurance salesmen, dressed in those conservative coats and ties." But by the summer of 1966, the band decided to start altering their image. "They came in for a session, dressed very bizarre, like gypsies. George Clinton was wearing a Kotex around his neck like a scarf! It was totally off the wall. The tracks we recorded that day had a different feel than what I had heard from the group before." Russ was lucky enough to be finding himself witnessing a bit of music history, as the seeds of Parliament / Funkadelic were sprouting that very day! Although the transformation from George Clinton And The Parliaments to the ground-breaking Parliament / Funkadelic odyssey would take a few more years, this recording session would become just one of HUNDREDS of historically significant events Russ would be a part of over the next several months and years in Detroit! He would remain friends with the "King of P-Funk" for the next two decades. Years later in Hollywood, Russ asked Clinton why he chose to go so hog-wild with his appearance once his music got the funk. "He told me that it had all been part of a grand plan to get attention," says Russ. "I guess the plan worked!" Some of Detroit's hottest producers were in the studio working with their hit artists during the spring and summer of '66, including the studio's owner, Ed Wingate, Clinton, Ollie McLaughlin, Don Davis, and the infamous keyboardist and producer, Richard "Popcorn" Wylie, among others. Wylie was working extensively with Golden World artists Edwin Starr and J.J. Barnes in 1966 and Russ worked at several of their sessions. "I really enjoyed working with Popcorn back then," Russ recalls fondly. "He usually brought the Detroit Times and Free Press into the studio and would browse through them during breaks. Sometimes he would blurt out 'That's great!' and show me a story that grabbed him. Then he would say that the story would make or a great song." Russ was amused, and fascinated, by the producer's creative process. "Here's this musician / writer / producer sitting in the studio reading newspapers and getting new song ideas from different stories! How cool was that?" Very cool, indeed ... and one more testament to the awesome flurry of creativity swirling around Detroit during those wild and crazy days! One day near the end of August, "the man" himself visited Golden World ... by himself, unannounced. Berry Gordy showed up at the studio and casually wandered around, checking out what was going on. Wolfrum remembers the visit well. "I was working in the disc-lathe room when Berry walked in." Ed had worked for Motown for a few months from late 1964 until 1965 and Gordy recognized him from recording sessions at Motown. Wolfrum continues "I don't think that Berry was even aware I had left Motown. He asked me what I was doing at Golden World! When I told him I worked there, he was genuinely surprised, and asked me if I wanted to come back to work at Motown!" Wolfrum thanked Gordy for the offer, but respectfully declined. He was happy at Golden World for the time being. Wolfrum recalls that Berry then looked the room over for a couple more minutes, asked a few questions about the equipment there, and left. "It was so low-key. I was pretty dumbfounded. But it did get me thinking about what I had heard at the Cool Jerk session a few months before," says Wolfrum. Ed vaguely remembers telling Russ about Gordy's surprise visit, as does Russ. "I do remember hearing rumors about Motown possibly taking over Golden World and Ed (Wolfrum) telling me about Berry coming to the studio," says Russ. "But I was so busy with sessions that summer that I just didn't have a chance to think about it." It was still business as usual as the summer of 1966 came to an end and the studio was busy as ever. But there was definitely a sense among the small staff that more than just a change in seasons was in the air. 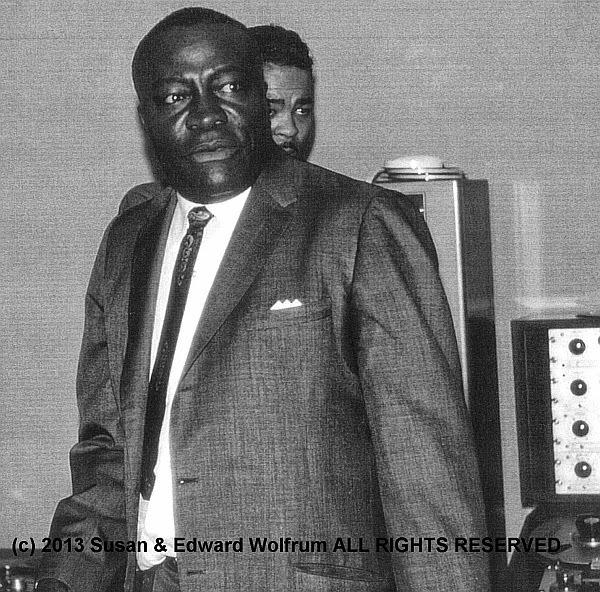 About a month after Berry Gordy's visit, Wolfrum stopped by Joanne Bratton's office after a recording session (for which he can't remember who the artist was). Ed had a feeling he was about to hear the news. It was short and sweet. To the best of his recollection, something like "It's done. We've been sold" is about all that Bratton said. The clock had stopped at Golden World ... and what was the end of an era for that studio was the beginning of a new chapter for Motown. The announcement of the sale was made with little fanfare, but the merger was very significant, in that Golden World had grown to become one of Motown's biggest Detroit competitors at a time when Gordy was most likely having big dreams of his company becoming a Detroit monolith. To this day there is serious speculation that Berry, Wingate and Bratton were in takeover talks for many months and that the acquisition was a done deal from the start in all aspects ... except the price ... and Berry finally made them an offer they couldn't refuse! Interestingly, while Gordy did assume the contract of Edwin Starr as part of the package of Golden World assets he purchased, Wingate would continue to operate his Ric-Tic label for a couple more years, reincorporating in Illinois and recording in a basement studio he built in his home and at other Detroit studios, including the notorious UNITED SOUND. A few more hits would be released on Ric-Tic, most notably from THE FANTASTIC FOUR and THE DETROIT EMERALDS. Gordy would ultimately purchase all of Wingate's remaining assets in the Ric-Tic label in 1968. Wolfrum made the decision to leave Golden World almost immediately after the sale. He spent the last months of 1966 supervising the building of a new nearby studio, THEME PRODUCTIONS, and then working as the studio's sole engineer. Early in 1967, he was hired on as an engineer at United Sound by that studio's founder and owner JIMMY SIRACUSE. At United, he continued to work with his former boss Ed Wingate on numerous recording sessions in 1967 and 1968, and many more sessions with Don Davis, who was rising fast in the ranks of Detroit record producers and rapidly gaining notoriety himself with each new successful project. The Theme Productions studio was destroyed in the week-long Detroit riots of July, 1967, just months after its completion. United Sound and Motown's Studio B (formerly Golden World) emerged from the 1967 riots virtually unscathed, despite a close call at United when a Molotov cocktail was thrown through the studio's front window (which was promptly thrown back out to the street)! Ed would continue on as an engineer at United for the next several years, becoming it's chief engineer in 1970. During those years, at a time when Detroit was basking in its reputation as the center of USA's pop music universe, Wolfrum, and Russ (at Motown) would record and mix scores of additional hits with a long list of Detroit's ... and the country's ... most renowned recording artists. 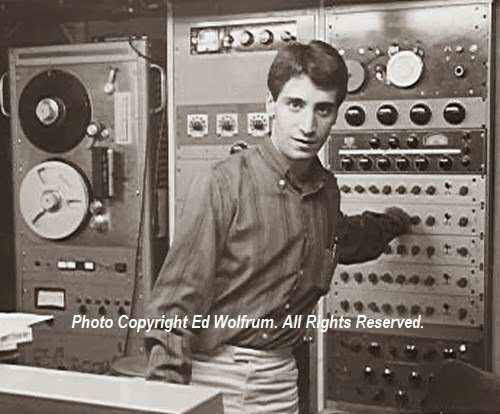 United Sound was purchased by Davis in 1974, at which time Wolfrum left to expand his own location recording and technical services business, which he had been operating for several years while working at the landmark studio. Russ himself learned that Golden World had just been taken over by Motown when a representative from the company (who Russ recalls may have been Ralph Seltzer) showed up at the studio the day of the takeover and told him that the company had just been purchased. He was asked if he would like to stay on as a Motown employee. Not surprisingly, Russ agreed without hesitation. Ironically, he was now employed by the very company who would not hire him six months earlier because he was under contract to the company they just acquired! So, for Russ, what was a pretty significant Detroit music business coup was one for him as well. He wasn't losing a job at Golden World, but gaining his "dream job" at Motown! Timing is everything! A couple days after the Motown takeover, Russ reported to work for his first Motown recording session. He was excited, because he was told that it was a tracking date for Motown star Marvin Gaye and his new duet singing partner, Tammi Terrell. He was the first to arrive at the studio to set up. Soon the musicians (the infamous Funk Brothers, of course) and others filtered in. From the control room, Russ noticed that a black couple had entered the studio and were hanging out by the piano. The woman was sitting on the piano bench and the man was standing, leaning on the piano. Russ walked into the studio and introduced himself to the couple, who told him their names were Nick and Valerie. They said that they were the writers of the songs being recorded that day, and they were kind of nervous because this was their first songs for Motown and they hoped Berry Gordy would like them! Russ fondly remembers, "I smiled and told them I knew how they felt. It was my first session for Berry as well, and I hoped he liked my work, too!" Russ had just met NICK ASHFORD and VALERIE SIMPSON for the first time. A short time later, the recording began, with the legendary FUNK BROTHERS working their musical magic, just before Berry Gordy arrived. The boss man walked into the control room about a minute later, midway through the first take of the first song, and that's when things got really interesting. 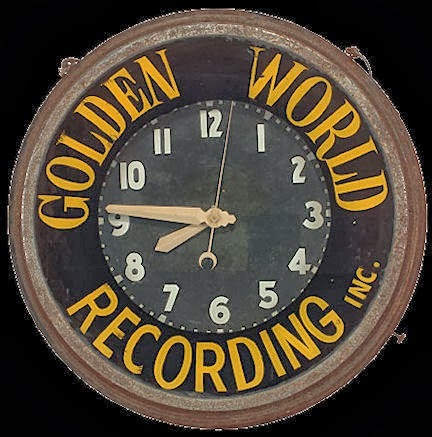 In Part Three of the story what happened at that first session at Golden World, as a studio now owned by Motown Records, will be revealed ... who was there and what was recorded would make it a truly historic day! Plus, the shape of things to come for the legendary label in the coming years following 1966 will be offered up. It's all in the COOL CONCLUSION to the story of the early days of the stellar career of RUSS TERRANA, THE MOTOWN SOUND MAN ... coming tomorrow, exclusively, in FORGOTTEN HITS! 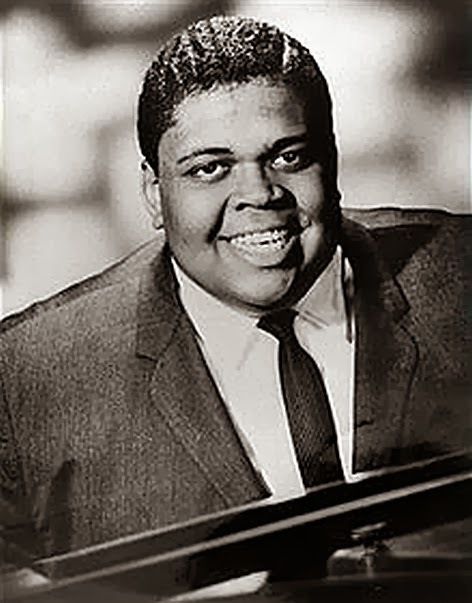 As promised last week, here is a very special article put together by FH Reader Joe Klein, profiling one of those great, unsung heroes of Motown and the '60's. As our Salute to the '60's continues through the end of the month (we'll have our final countdown next week! ), we wanted to be sure to share with you this special "behind the scenes" look at some of the folks and circumstances that brought us some of this great, classic music. VERY special thanks to Joe for all his hard work on this one ... so big it'll run in three parts over the next three days. Enjoy! As promised, inspired by the recent Forgotten Hits countdown of the top 100 Motown hits of the 60's, here's the story about the first recording session my old friend, Motown engineer-extraordinaire RUSS TERRANA worked as a pro ... and the first session he worked for Motown Records, both of which took place in 1966, the very peak of the golden years of the Detroit music scene! I spent over an hour on the phone with Russ getting the story. To get some additional details, I also spoke with ED WOLFRUM, another recognized engineer of the era, who is one of Russ' closest friends to this day. When Russ began his remarkable run as a sound engineer over 47 years ago, the modest and gifted rookie had no way of knowing that he was about to embark on a decades-long journey that would land him in the middle of page after page of pop music history! I'm presenting the story in three parts, exclusively here on FORGOTTEN HITS! So, as one of the monster hit songs recorded by Russ says, "Get Ready!" Here's part one of the story of my friend RUSS TERRANA, the MOTOWN SOUND MAN. Early in the spring of 1966, Detroit native RUSS TERRANA, a young musician at the time, started working as a sound engineer at Golden World recording studio, owned by local music entrepreneurs ED WINGATE and JOANNE BRATTON (widow of boxing champion Johnny Bratton). 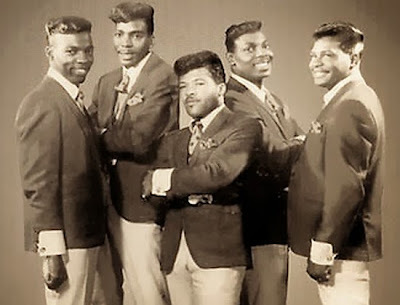 The two also owned Detroit's upstart GOLDEN WORLD RECORDS, which enjoyed success in the mid-60's with artists such as EDWIN STARR, THE REFLECTIONS, THE FLAMING EMBERS, THE SAN REMO STRINGS and several other lesser known acts. THE CAPITOLS, SHADES OF BLUE, THE DRAMATICS, GEORGE CLINTON and PARLIAMENT were just a few of the other artists who recorded at Golden World. Russ, along with his brother Ralph, were members of a band named THE SUNLINERS that Wingate and Bratton had signed a couple years earlier. The group became one of the hottest white bands in Detroit in the mid-60s, and recorded several songs at Golden World's studio. 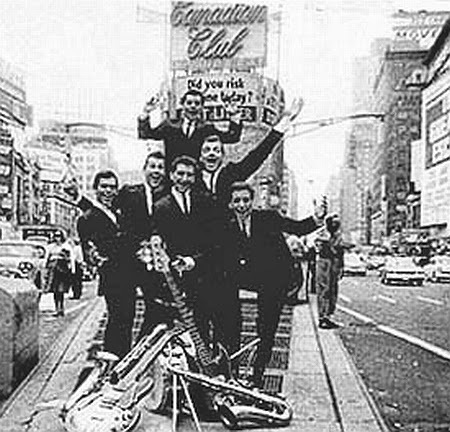 The label released one single by the band, "The Swinging Kind," in the fall of 1965. Russ got the "recording bug" while working in Golden World and a few other Detroit studios with the group, but his interest in the technical side of the music business started earlier. One of his first loves since childhood was electronics. 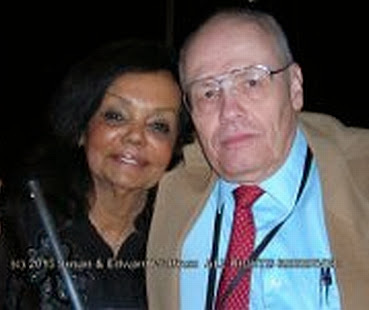 In the fall of 1963, Russ enrolled in a Detroit area technical school, the Electronics Institute Of Technology, to learn about electronics and earn his B.S. degree. For over two years, he juggled his time between playing with The Sunliners, attending classes at E.I.T. and studying. When recording with the band, Russ would jockey between the studio's sound booth and control room, where he became determined to master the array of knobs, switches and buttons on the console that controlled the sound. 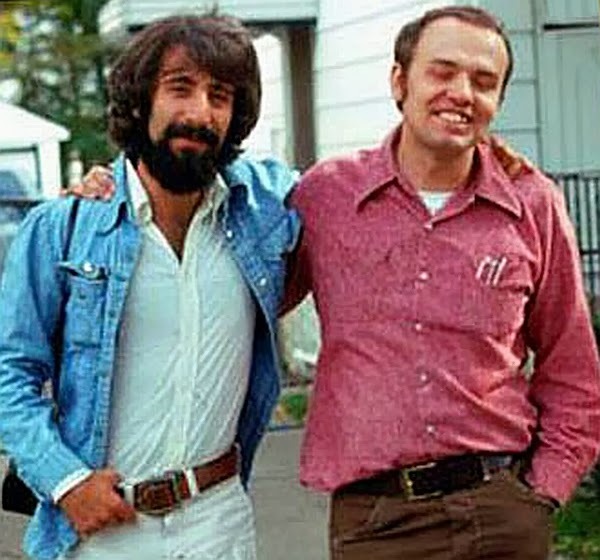 When The Sunliners were recording at Golden World, Russ became fast-friends with Golden World engineer ED WOLFRUM, who quickly took a liking to Russ, sharing his passion for electronics and the art of sound recording. "I knew Russ was a natural from the moment I met him," Wolfrum declares. Following The Sunliners recording sessions, Russ continued to visit Golden World's studio on a regular basis, hanging out at sessions where he absorbed tidbits of knowledge and technique. 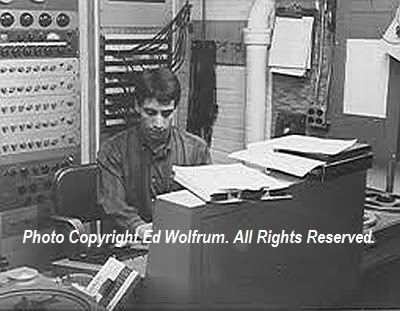 Russ assisted Wolfrum with various engineering tasks and running the control board during several recording and mixing sessions, acting in the role of a present day "intern." His natural gifts quickly became obvious to all those around him. In early March of 1966, Russ completed his studies at E.I.T. 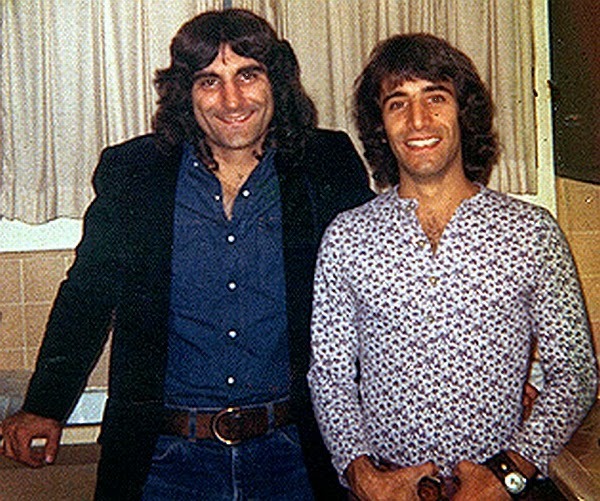 The single that Golden World had released by The Sunliners months earlier had not been a hit. So, a few weeks after receiving his engineering degree, he, along with Ralph, decided to leave the band and pursue their interests on the "other side of the recording studio glass." Russ wanted to work as an engineer and Ralph wanted to own his own studio (a goal that would be realized in the months to come). Armed with his degree in electronics and the skills he picked up at Golden World, Russ decided it was time to find his first paying job as a recording engineer. He had enjoyed working (without pay) at Golden World, and its owners "Uncle Ed" and Joanne were fond of him. Russ, however had dreams of going "straight to the majors." He decided to try and get signed with Detroit's big boys, and headed over to the offices of Motown Records to apply for an engineer job. But there was an unexpected roadblock between him and the team he was so anxious to join. Russ was still signed to Golden World as an artist, as part of The Sunliners. The Motown staff was aware of the band, and Russ thought that this would work in his favor. But while interviewing for the job, he was asked if he was still signed to another label. When he said he was still signed to Golden World as a recording artist, he was sent to speak with Ralph Seltzer, the company's comptroller and contract administrator. Seltzer told Russ that the company would hire him, but only if he got released from his contract with Ed Wingate, who was Berry Gordy's biggest competitor in Detroit at the time. Determined to land the position, Russ headed straight from Motown to Golden World to ask Wingate for a release from his contract. Golden World was busier than ever and the company's fortunes were improving as its roster of artists were having success on the record charts and acts from other labels were booking sessions there as well. The studio's small staff of producers and engineers, especially Wolfrum, were struggling to keep up. "It was great having Russ around the studio during those wild days," says Wolfrum. "It was so busy back in '65 and '66 that any help we could get with the workload was welcome. Russ was always eager to work when he showed up and had a great attitude, so I was always happy to see him." In fact, Wolfrum and another Golden World engineer (who was also a producer) named BOB d’ORLEANS had been rallying Wingate and Bratton to add Russ to the staff for a few months. "Bob and I both knew Russ was a star," Wolfrum recalls. ''I had a strong feeling that if Ed and Joanne didn't hire Russ, another studio would. He was that good." After a short drive from Motown, Russ arrived at Wingate's office and asked to be released from his artist's contract with Golden World. Russ had just left The Sunliners and didn't expect that Ed would object. But Wingate had another idea. He suggested that Russ come work for Golden World instead of Motown. As Russ remembers it, "It was kind of a surprise when Uncle Ed asked me if I wanted to work for him." What Wingate said next was even more unexpected. "He told me that he would match whatever Berry was offering to pay. I thought about it for a few seconds and decided to take a shot. I gave him a figure that was a few bucks higher than the Motown offer, and Ed went for it!" Wingate hired Russ on the spot. Wolfrum and d'Orleans' campaign to get Russ hired by the studio had succeeded. Wolfrum remarks, "I prayed that Russ would get the job one day, and was really thrilled when those prayers were answered! When Russ arrived at the studio for his first session as a paid engineer a few days later, a black artist walked in and told Russ that he had a recording session scheduled with Bob d'Orleans. Russ recognized him from other sessions and seeing him in clubs in Detroit. It was EDWIN STARR, who had already had the big hit AGENT DOUBLE-O SOUL on Golden World’s RIC-TIC label several months earlier. "He walked in the studio and asked where Bob was,” recalls Russ. Bob and Ed Wingate enjoyed hanging out at the race track on occasions and, apparently, this was one of them. Bob was nowhere to be found. Russ doesn’t recall which song (or songs) were recorded at the session. Ed Wolfrum thinks that it was one of Starr's other pre-Motown hits (possibly "Headline News", "I'll Love You Forever" or "S.O.S"), while Ralph Terrana suggests one of the songs may have been the song "It's My Turn Now" that was recorded that day. Notwithstanding which track (or tracks) were recorded that day, with that first "official" recording session, Russ was off and running! He was the new hot-shot within the hallowed halls of Golden World. Soon, he would become Golden World's golden boy, recording hits and working with hit-makers nearly every day. By summer's end in 1966, Russ was the master of his domain at studio. It was the peak of the golden years of the Detroit music scene, and Russ was riding the big waves. Immersed in an endless parade of recording sessions during those wild, heady days, Russ was simply too busy to realize that a big change was happening behind-the-scenes that would take the music business by storm ... and take him along for the wild ride! Coming up in Part Two ... a few of the very interesting events leading up to the acquisition of Golden World by Motown Records and the story of Russ' first recording session as a Motown engineer, a date that would be a truly historic one in the annals of Motown history! Read it here tomorrow ... exclusively ... in FORGOTTEN HITS! All Text Above © Copyright 2013 by Joe Klein. May not be copied in whole or part without permission.